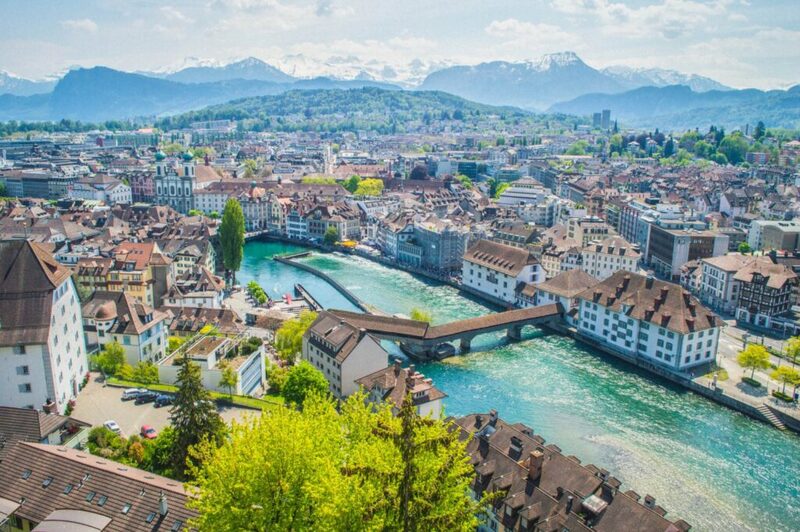 In my mind, Switzerland has always been one of those places in the world best enjoyed with a dash of luxury. 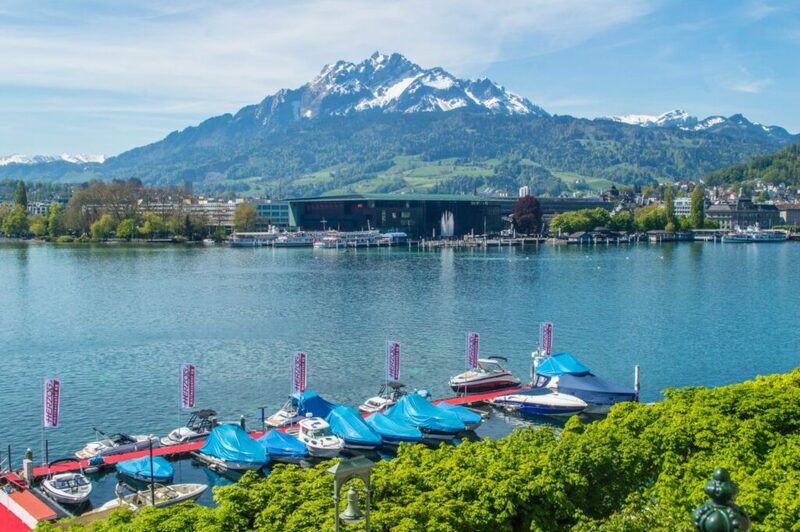 Boasting the (slightly terrifying) title of ‘most expensive country in Europe‘, alongside the planet’s highest costs of living, a Swiss getaway is an endeavour surely linked to a high price tag. … which is why I think, if you’re gonna go, you ought to do it properly. Now, despite being based in Munich for the past half year, close neighbour Switzerland was never really on my radar. That all changed after I laid eyes on Lucerne. From a single vibrant photo through my phone screen, I knew that I had to make this city a priority. … and so I did! Last month, boyfriend in tow, I weaved through the winding roads of the German countryside and crossed into Switzerland, home of awe-inspiring nature and cheese of the holey variety. With luxury on our minds, we wanted to do Switzerland as it should be done: in style. 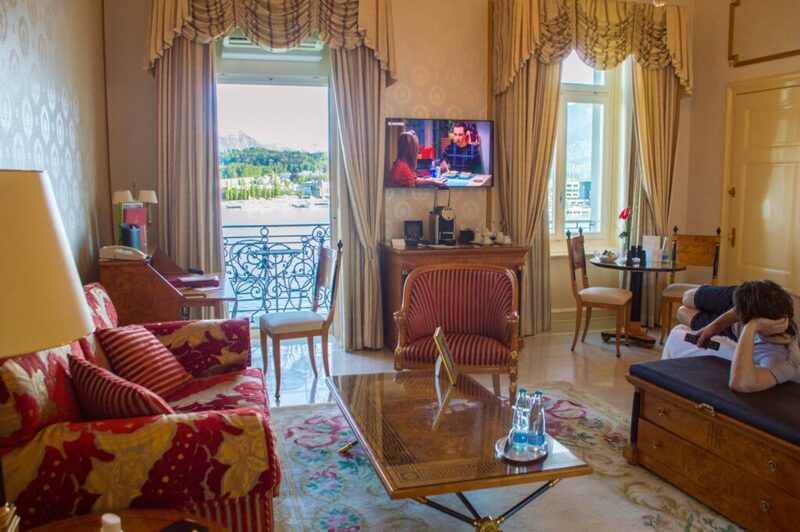 This is why, as a homebase, we chose the Grand Hotel National, the perfect space to come home to after a long day of sightseeing. 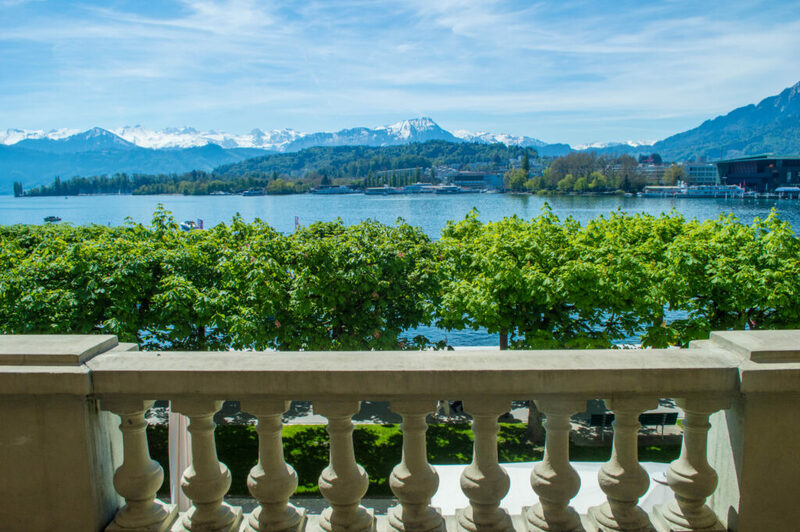 If you’re looking for where to stay in Lucerne, or contemplating your own visit, here is a to Grand Hotel National Lucerne review, detailing what makes the property oh so special. With only two days in Lucerne, we were determined to make the most of every minute. 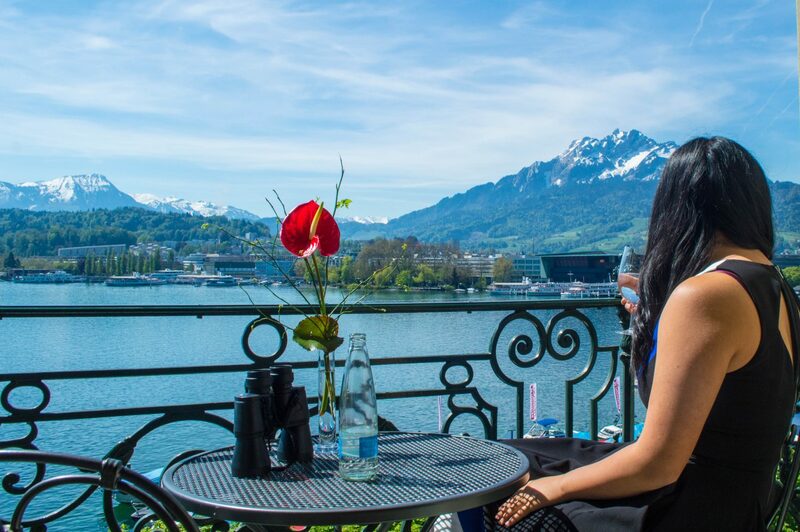 Luckily, the Grand Hotel National is just steps from a lovely promenade stroll that wraps around the scenic shores of Lake Lucerne. Thanks to this location, we were within 20 minutes’ walk to any point of interest, making our daily explorations a breeze. Checking into our Empire Junior Suite, there was a lot to be thrilled about. Throughout my time in Europe, I’ve toured a fair number of royal palaces, all with impossibly lavish decor and indulgent trimmings. Entering our suite felt a little bit like that. 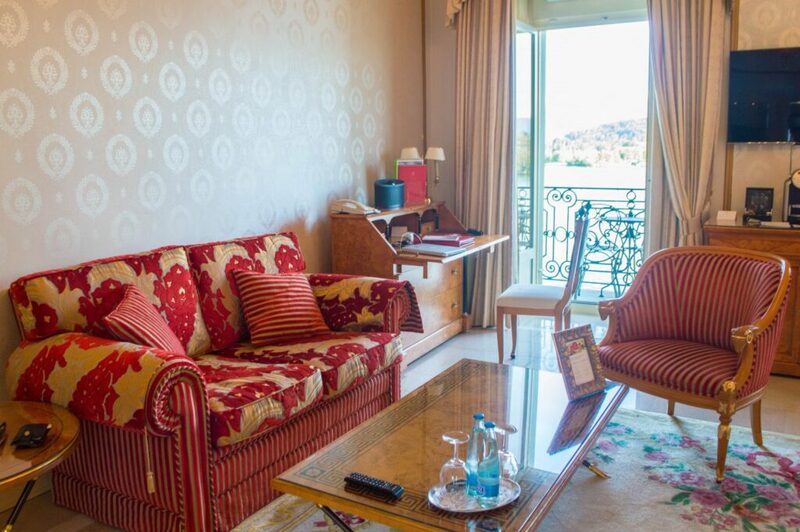 With golden hues, marble floors and our own lake-view terrace, everything about this suite embodied luxury and comfort. The downside of course was that we had tremendous difficulty prying ourselves from the room at times. I suppose there are worse problems to be had…! The room was not only pretty to look at of course, it also came with a variety of handy freebies like a Nespresso machine, TV, sound system, and a wide array of toiletry items, my favourite of which were bath salts for the tub! Talk about luuuxury. Our terrace was the perfect spot to sip a morning coffee or enjoy some wine at sunset. Even though we were steps from the city centre, the atmosphere from our balcony was wonderfully peaceful and relaxed, almost as if we had our own little slice of Lucerne all to ourselves. 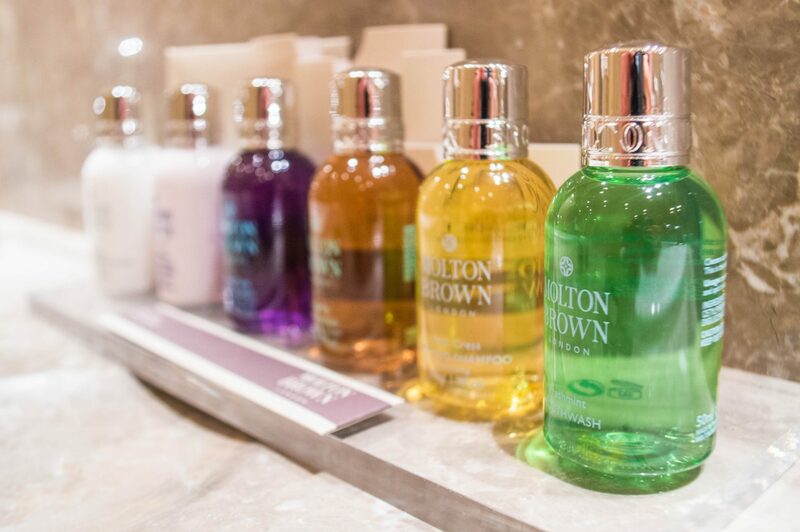 The front desk staff are present 24/7 to ensure guest needs are met. While we didn’t have too many interactions with the staff, our encounters were all very positive. We initially parked in the wrong parkade when we arrived, but the receptionists sorted that out immediately by getting the valet to fetch our car for us. The valet was subsequently lightning quick the next few times we needed our car. When it comes to dining options at the Grand Hotel National Lucerne, one is very much spoiled for choice. 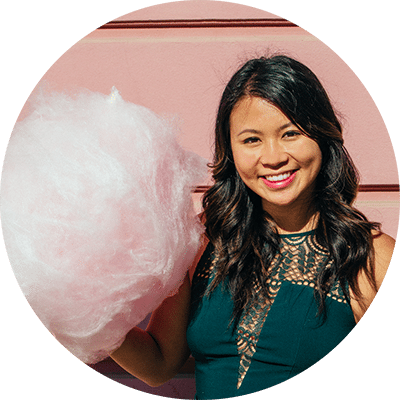 The property has four restaurants dishing up quality International fare, in addition to a cafe and bar. When weather permits, guests can also enjoy some drinks and nibbles on the hotel’s lakeside terrace, which is the ultimate chill spot on a sunny afternoon. 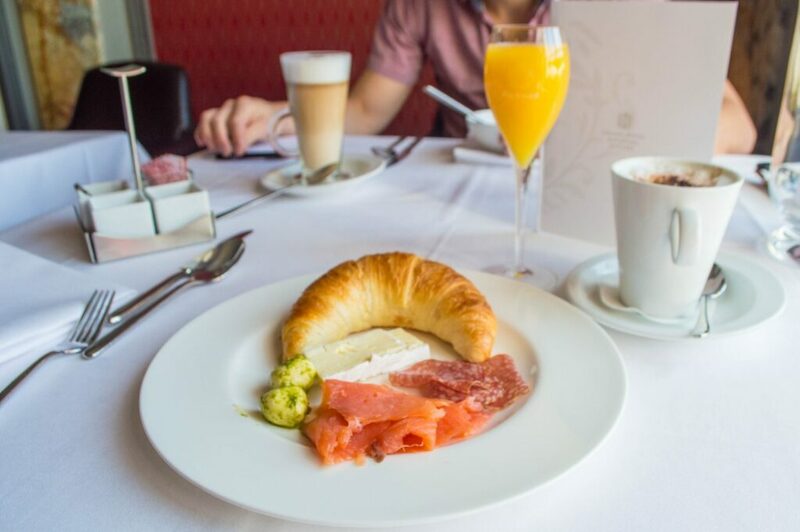 With a limited time to explore Lucerne, we didn’t get to sample the hotel’s dining options besides breakfast, but we could easily count on their buffet to fill us up each morning with a variety of continental favourites (e.g. cereal, pastries, cold cuts) and hot eggs. An added bonus of course was the chilled bottle of prosecco on offer, alongside a sweet selection of fresh fruit juice. Naturally, I couldn’t resist a morning mimosa… (or 3). 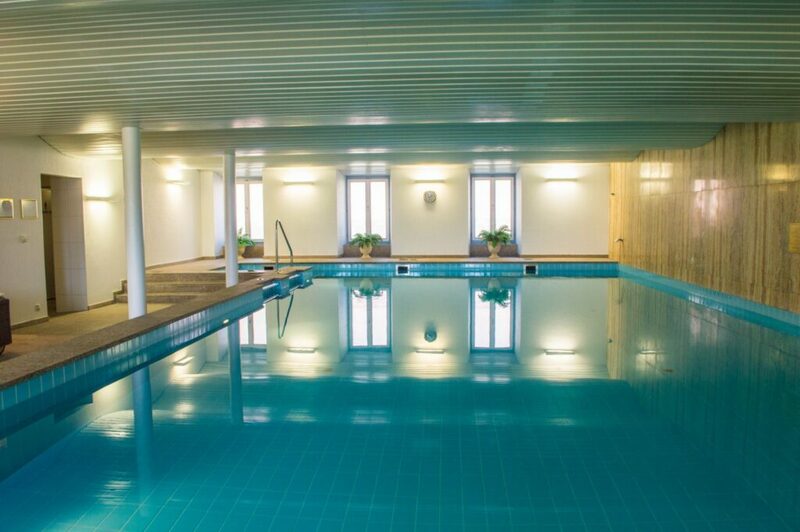 In terms of amenities, the hotel has a beautiful pool and sauna available for guest use, in addition to a lake-facing terrace with comfortable loungers to soak up the sun. Massages are also available in-house and though there isn’t a fitness centre in the hotel itself, the Fitnesspark National is just steps away. 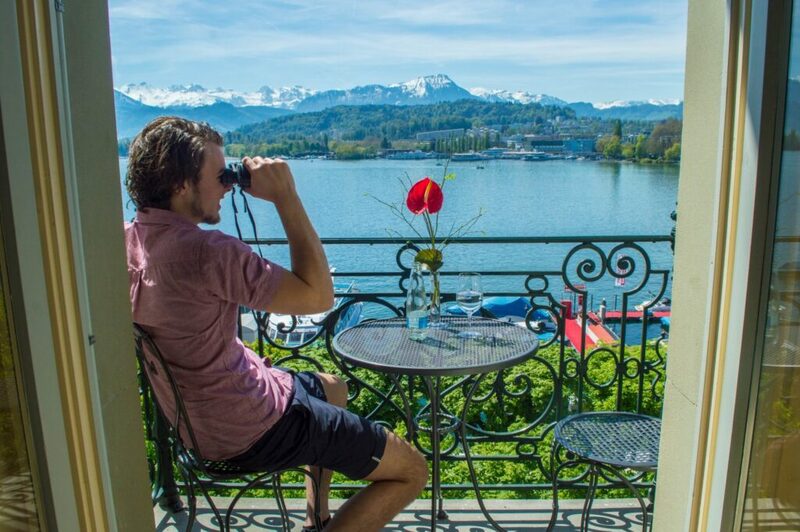 If you’re looking for a swishy homebase for a Lucerne getaway, the Grand Hotel National is a fine choice. Our stay was pretty much perfect – from the opulent furnishings and lakeside location to the friendly service and scrumptious breakfast. As with many things in Switzerland, a stay here doesn’t come cheap, but with life as short as it is, I say live a little and treat yourself! I promise you won’t regret it. 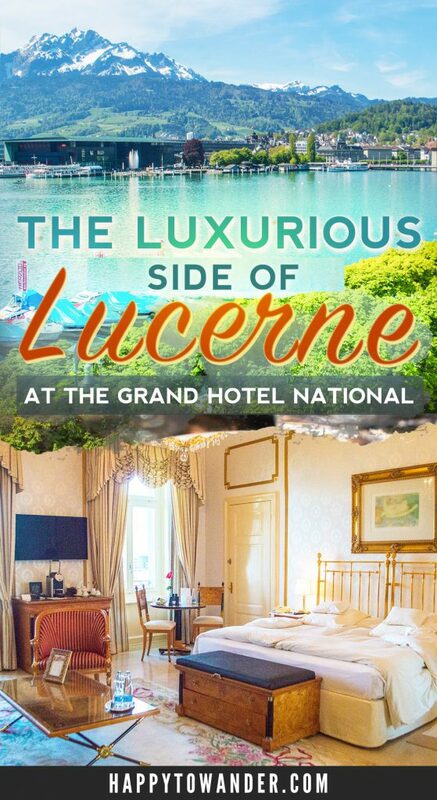 I hope you enjoyed my Grand Hotel National Lucerne review! 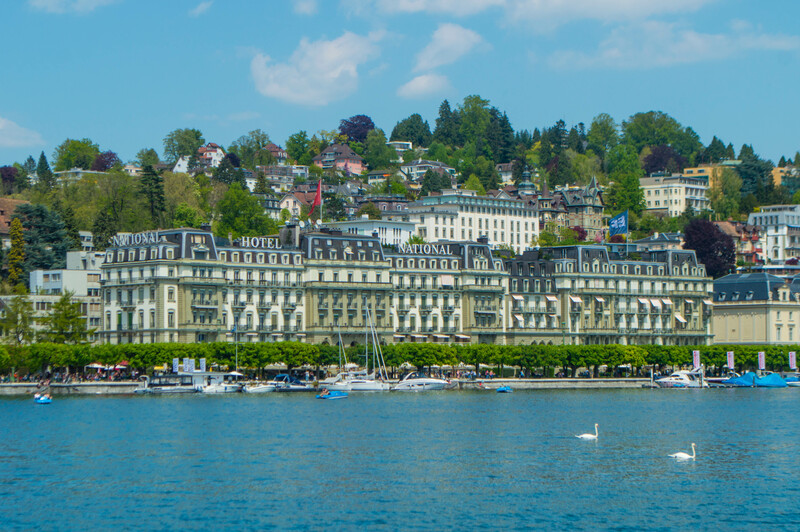 DISCLAIMER: I was welcomed as a guest of Grand Hotel National Luzern, but all opinions are honest and my own 🙂 This post also contains affiliate links, which means I make a small commission if you purchase from my link. Thanks as always for your support! aw, thank you so much Jim!